Do you ever leave home for a trip, and have that feeling you may be forgetting something? Here is Your Essential Guide to Summer Camp Prep. These 4 lists will help you make sure everything is ready for camp. Group Leader Information. CentriKid Group Leader Information is the most important and helpful tool to help you prepare for camp! It is full of important information, tips, and guidelines to help you know everything you need to know about coming to camp. Click here to find your camp location and download Group Leader Information. Participant Lists & Release Forms. Three weeks before camp you need to send your participant list in to the camp gmail account for your location. The participant list is on your camp location page, and it is very important to housing. Make sure the camp team knows any policies or mobility needs that your church may have that will affect camper housing. Release Forms also need to be filled out and notarized. All participants (adults and kids) coming to camp are required to have background checks done, and after those are completed you will verify that on the statement of compliance. Track Time Cards. Make sure that all campers have filled out their track time cards before you arrive at camp! You can find those and a description of each track time in Group Leader Information. Plan to Register for next year! It might be weird to think about signing up for next summer before camp this summer, but our registration for the next summer opens on June 1st! We expect many of our locations and dates to fill up (like many of our dates and locations did this year), and to ensure that you get the location and date you want, you’ll need to register early! No money is due until February 15. 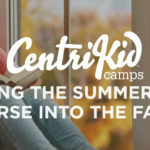 To register for CentriKid Camps, call 1-877-CAMP-123 or visit centrikid.com after June 1! Sign them up. Without kids at kids camp, it’s dull. But seriously though … some parents will be asking you about camp registration before you are ready, but others will need a lot of guidance/help/reminders to finally take the steps and commit to signing up. Don’t give up on those families—those are great opportunities to build relationships with the kids that may not be at every event. You can make every moment count by having time with them at camp. Pray for them. One of the most important things you can do for your kids is to pray for them. As you pray for them, pray with them too! God is at work all around you, and some of the kids in your ministry will open up to you in a new way just by knowing that you are praying for them. Familiarize your kids with the theme and verses for camp. Each year at CentriKid, we have a theme and a key verse of Scripture we focus on all week. 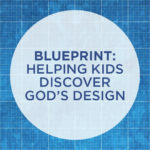 Most camps have a theme that goes along with the Bible study material for the week. Getting your kids familiar with this beforehand will help them to begin learning before they even get to camp! Calm their fears. Your kids may be a little nervous about being away from home for an entire week. Do your best to ease their nerves before they leave. This will help set them up to have a great week of camp. As parents, it is perfectly normal for you to also be nervous about your kids being away for home. Try not to show them that you are nervous too! Get them excited! After calming their fears, get them excited! When I was a kid, the night before camp always felt kind of like the night before Christmas. Share in their excitement about coming to camp. Go out to eat as a family the night before camp or do something special to get them even more excited! This will be something they remember for years to come. Use a packing list to make sure your kids have everything they need! At CentriKid we provide a generic packing list to use when preparing for camp. A packing list is a great tool to help you prepare your kids for camp! Relieve fears – Especially those parents who will be sending a camper away from home for the first time. You’ll have their baby, and even though it’s just a short drive away from home, you know that in the mind of some parents you may as well be taking their child across the globe. Plan to download and show our Parent Peace of Mind video! Answer questions – You can prepare for some of these things, but leave time to answer questions about what the camp experience will be like, housing and roommates, when to pick up and drop off from the church. Be sure that you collect all the photo and DVD order forms so that the parents can get their snapshots of their kids at camp! Explain safety – Let parents know about your plans to monitor kids through the week, whether it’s a buddy system or having a leader from your group assigned to small groups of kids. Another way that we want to make each child feel safe at camp is by giving the parents a chance to fill out a special attention card. We as a staff take these cards very seriously and want to know about any physical or emotional/spiritual needs that the children might have. Don’t forget to fill out a special attention card if anyone in your group has a birthday the week of camp, we would love to celebrate with them! Convey that camp is more than just fun and games – Share the spiritual direction for the week, begin teaching kids (and their parents) the key verse John 8:12. Set your clocks – Let parents know that worship is 7 to 8 PM, and they can pray for kids during that hour each night of camp … Knowing that they will be hearing from God’s word and hearing about the gospel. Make a packing list – Have parents send their camper with a Bible and pen. Like last year there will be notes pages for worship inside the camper name tag booklets. Talk about OMC and encourage them to label everything that goes to camp with the camper’s name. Talk to your adult sponsors! The people that you are bringing to camp will help shape the experience for all of your campers. Bring adults and students who you trust to invest in your kids throughout the week. While at camp, these sponsors will be the ones answering spiritual questions and loving your children as they learn how to grow their faith in Christ. Also, be sure that all of your sponsors have signed the statement of compliance before they come to camp. Meet with parents and volunteers! One of the promises that we make at CentriKid is that we provide a safe environment for the kids. This starts by providing you as group leaders with the information that you can share during parent meetings. Provide details and information to the parents so that they also feel ready to send their kids off to camp and involve the volunteers in this process too. Some will be parents, but others may be Team Assistants or college kids who serve in your ministry but don’t yet understand the implications of looking after other people’s kids. Challenge & Equip the volunteers. Challenge them to have international conversations with campers and to make every minute count for ministry. Equip them with “The Gospel God’s Plan for Me” and make sure they are confident engaging in a spiritual conversation with a camper. Having an army of volunteers fired up to talk with kids about the things of God will make camp better and it will begin the process of training your volunteers to look for other opportunities for gospel-centered conversations. 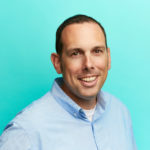 Jeremy Echols leads the CentriKid Camps team and manages the LifeWay Kids events. 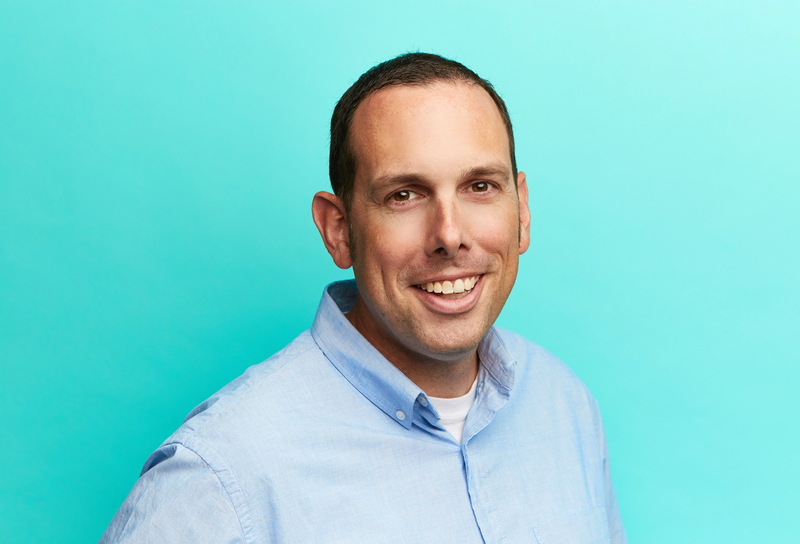 He and his wife Emily have a daughter Madison and they love their church, their neighborhood, and spending time together. Jeremy loves to read, watch sports, and grill burgers. 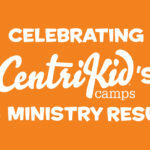 Celebrating CentriKid’s 2018 Ministry Results!